Sala Samui is a Koh Samui classic. 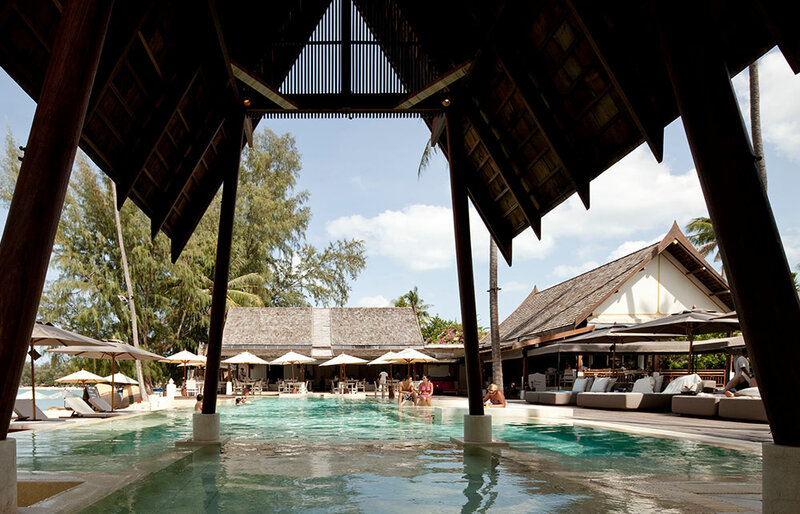 It burst on to the Thailand boutique hotel scene a few years back and has grown its loyal following ever since. It is blessed with all the ingredients a Samui beach hotel could need: a stunning arc of white sand, gently lapping waves, a harmonious blend of traditional Thai architecture and modern amenities and sublime service delivered with nonchalant precision, making this a chic beachside retreat. The juxtaposition of the Thai inspired peaked tiled roofs and the contemporary simple clean lines has been masterfully created. You’ll feel a sense of belonging here. 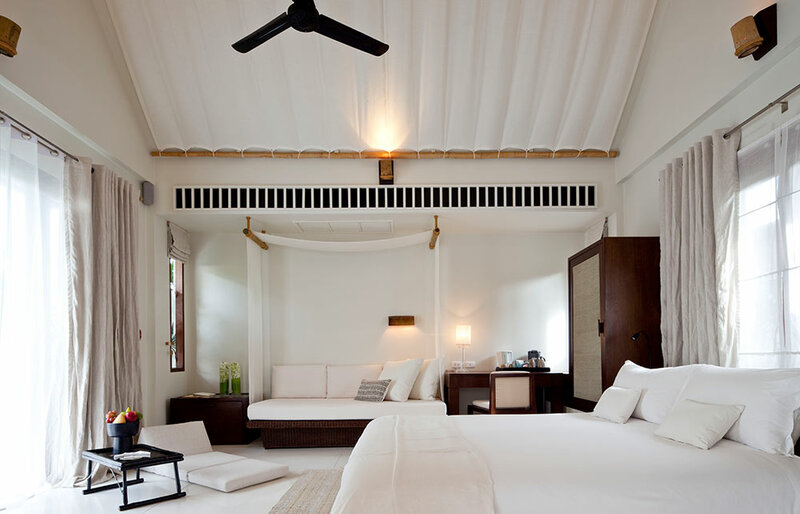 You very much know you’re in Thailand, yet the light airy suites and villas, the majority with private pools, have an almost Mediterranean vibe, with whitewashed walls and floating linen drapes. There are two deliciously refreshing oceanfront pools, a great little spa which will transport you to heaven and back (or perhaps just leave you there!) and a top-notch cooking school that will teach you to recreate Thai classics. 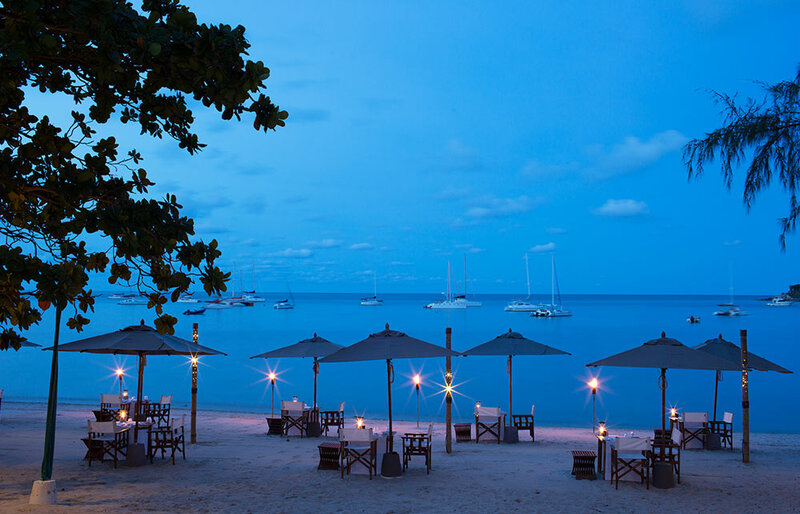 The two restaurants, one Thai and the other serving international dishes, are excellent; so much so that you might just take the view that there is no need to leave your refined and luxurious surroundings. 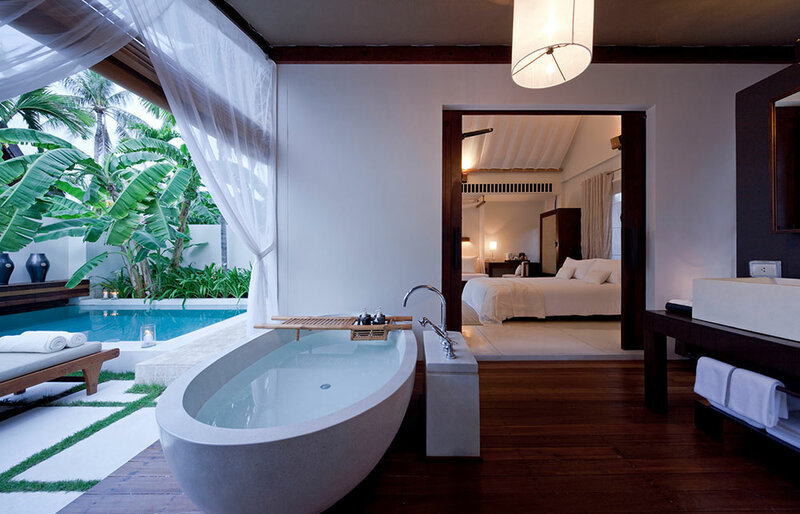 The Sala pool villas are our favourites. 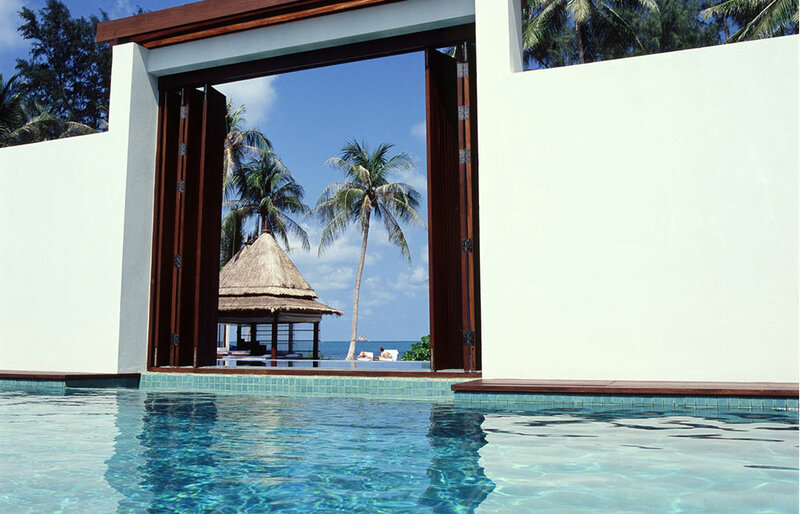 With indoor and outdoor day beds and a decent sized plunge pool, you’ll never need set foot outside your private villa. 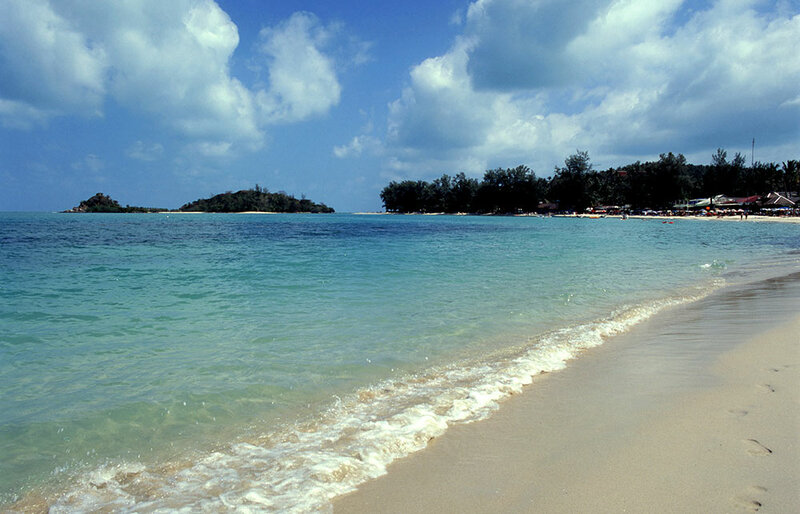 Choeng Mon beach is one of the best in Samui for fine white powdery sand. 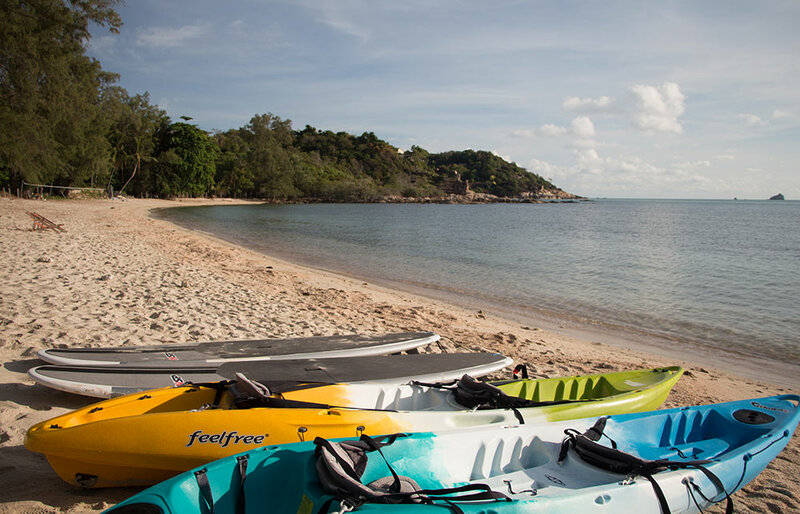 At low tide you can walk over to the the two connected tiny islets of Koh Fan Yai and Koh Fan Noi to explore. The raised lap pool set within the lily ponds created a delightful optical illusion. And with the waves as the backdrop, our morning exercise routine never became a chore.